This volume brings together papers by some of the leading figures working on virtue-theoretic accounts in both ethics and epistemology. A collection of cutting edge articles by leading figures in the field of virtue theory including Guy Axtell, Julia Driver, Antony Duff and Miranda Fricker. The first book to combine papers on both virtue ethics and virtue epistemology. Deals with key topics in recent epistemological and ethical debate. Michael Brady is Lecturer in Philosophy at the University of Stirling. He has published widely in ethics, including articles in Pacific Philosophical Quarterly, Journal of Value Inquiry and Philosophical Quarterly. Duncan Pritchard is Lecturer in Philosophy and Leverhulme Trust Special Research Fellow at the University of Stirling. He has published widely in epistemology, including articles in American Philosophical Quarterly, Synthese and International Journal of Philosophical Studies. 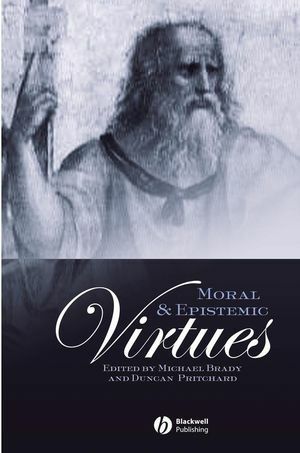 Introduction: Moral and Epistemic Virtues: Michael S. Brady (University of Stirling) and Duncan Pritchard (University of Stirling). 1. The Search for the Source of Epistemic Good: Linda Zagzebski (University of Oklahoma). 2. The Pursuit of Epistemic Good: Philip Percival (University of Glasgow). 3. Epistemic Presuppositions and Their Consequences: Juli Eflin (Ball State University). 4. Traditional Epistemology Reconsidered: A Reply to Eflin: Andrew McGonigal (University of Leeds). 5. Affective States and Epistemic Immediacy: Christopher Hookway (University of Sheffield). 6. Reply to Hookway: Marie McGinn (University of York). 7. The Conflation of Moral and Epistemic Virtue: Julia Driver (Dartmouth College). 8. Sentimentalist Virtue and Moral Judgement: Outline of a Project: Michael Slote (University of Miami). 9. Some Worries about Normative and Metaethical Sentimentalism: Michael S. Brady (University of Stirling). 1. Epistemic Injustice and a Role for Virtue in the Politics of Knowing: Miranda Fricker (Birkbeck College, University of London). 2. Epistemic Injustice: The Third Way? : S. E. Marshall (University of Stirling). 3. Virtue Jurisprudence: A Virtue-Centred Theory of Judging: Lawrence B. Solum (Loyola Law School). 4. The Limits of Virtue Jurisprudence: R. A. Duff (University of Stirling). Part III: Symposia on Epistemic Luck:. 1. Virtue Epistemology and Epistemic Luck: Duncan Pritchard (University of Stirling). 2. Felix Culpa: Luck in Ethics and Epistemology: Guy Axtell (University of Nevada, USA).